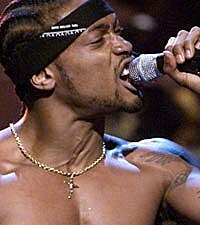 On Monday (Jan. 2), a new D'Angelo track hit the 'net, an auspicious sign for the the new year. The song was a cover of 'Black Hole Sun,' a hit single by '90's grunge band Soundgarden, which was rumored to have been recorded by D'Angelo in 2010, and would be appearing on his forthcoming third album. However, longtime D'Angelo collaborator Questlove of The Roots, who has been instrumental in the 'How Does It Feel' singer's impending return, has set the record straight regarding the cover, which apparently is an old demo that will not be making the final cut of the album. "My statement on Black Hole Sun: its a demo from like 8 trs ago done in his crib in Va. Its NOT on the album (I did NOT leak) [sic]," Quest tweeted. While the spaced-out, funky cover may never officially see release, Quest also revealed that the neo-soul king is finally almost finished with his as-yet-untitled comeback album, which has been over twelve years in the making. "He's in the home-stretch right now. I know that Fred Wesley and the JB Horns just did a cut that Q-Tip did; I know he's doing his vocals right now," Quest told Billboard. D'Angelo is currently preparing to embark on an "intimate" European tour from Jan. 26 through Feb. 3, with dates in Stockholm, Copenhagen, Paris, Amsterdam and London.